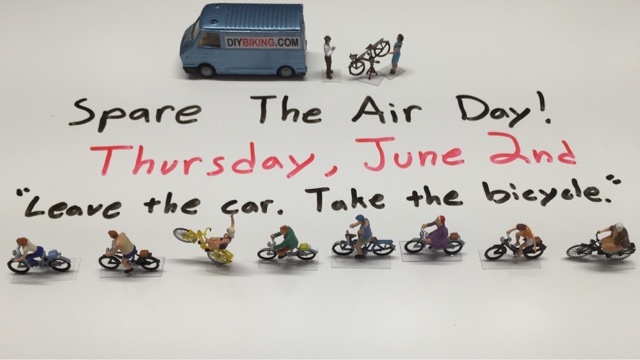 You should ride your bike to work tomorrow since it is a Spare the Air Day - a decree by the Bay Area Air Quaility Management District. Please #choosethebike and leave the car at home, Silicon Valley. Rest assured you can resume treating the Bay Area like an ashtray come Friday. Thanks for reminding about the spare the air day and eventually I will surely be going for the work on my bicycle. Moreover I use bicycle to go to work on every Friday of the week.